Although the weather outside still feels like winter, I’m excited to see signs of Spring all around. One of those signs is asparagus. 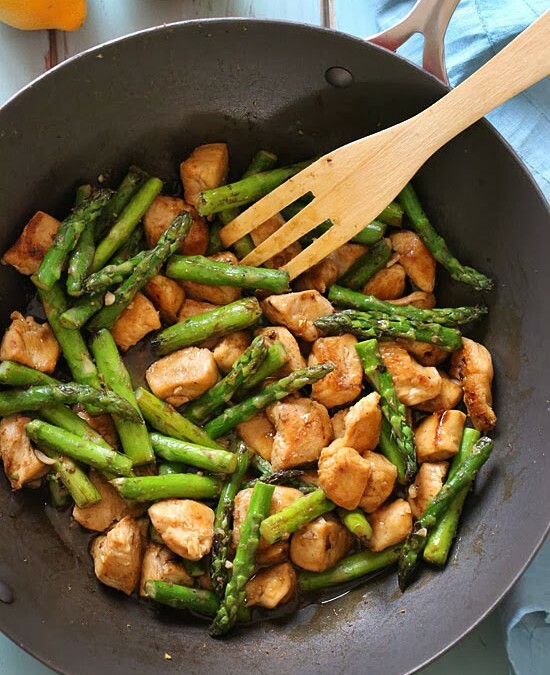 Asparagus is one of my favorite Spring vegetables, and this quick stir-fry made with chicken, lemon, garlic and ginger is a great way to make it a weeknight meal. 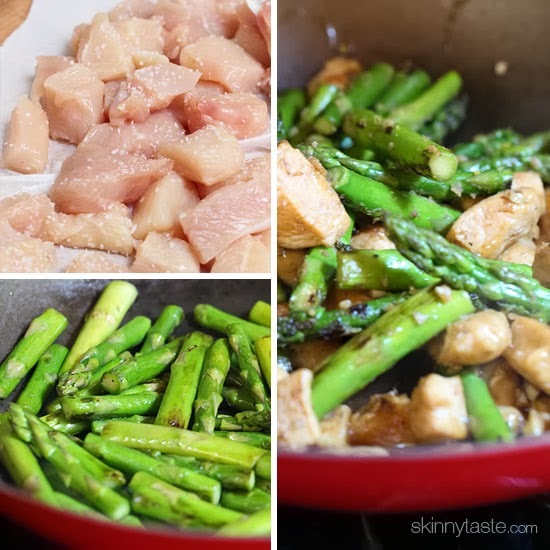 I used a reduced-sodium Japanese soy sauce called Shoyu which is similar to Chinese soy sauce, but has a more full bodied flavored and a touch of sweetness that I’m really in love with. I like Eden, which is organic and non-GMO. You can use either one, or even Tamari if you’re gluten free. We served this over brown rice to complete the meal.